This 60' waterfall is a very popular tourist attraction. It is located about ten miles south of the Blue Ridge Parkway on U.S. 276. 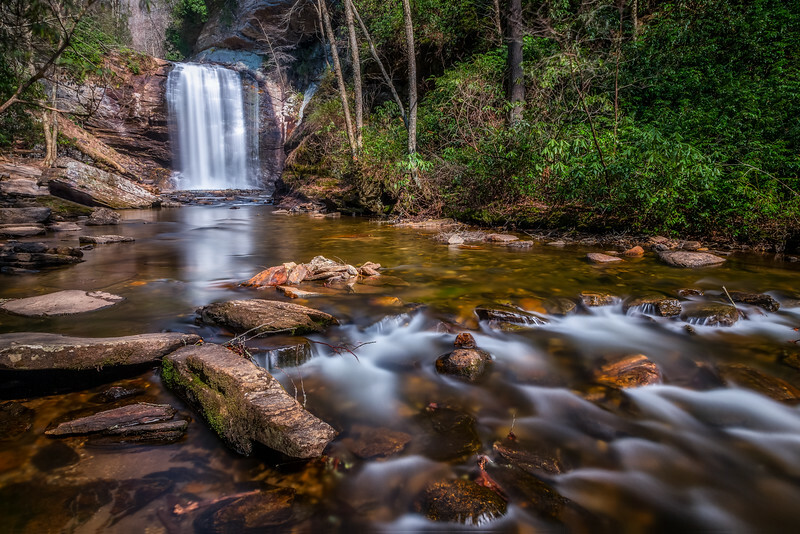 The silky look of the water is achieved by a long exposure setting in the camera.